Located on the east side of Lake Batur, Mount Abang is the highest point on the rim of the Batur caldera and the third-highest mountain in all of Bali at about 2,150 meters. 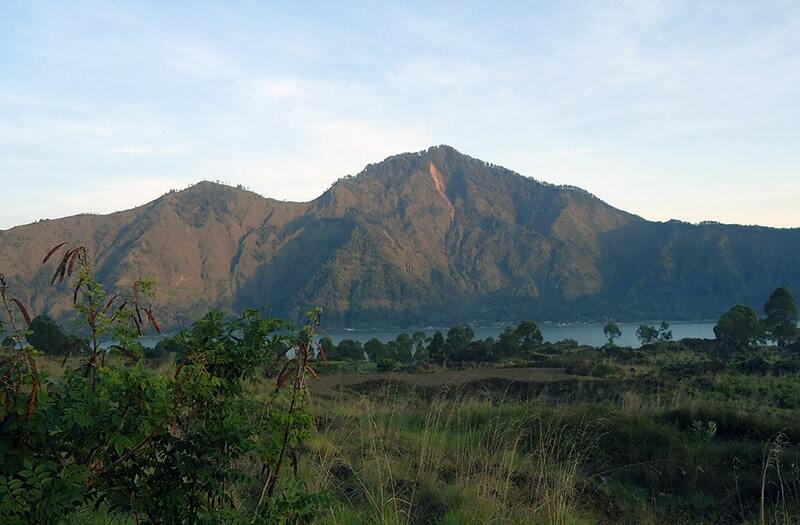 In prehistoric times Abang was part of the larger Batur volcano, which was about 4,000 metres in height. However, a massive eruption split the volcano and created a caldera lake with the smaller cone of Batur on one side and Mount Abang on the other. Abang is still natural and untouched by human development, which means that you can enjoy peaceful treks through forest past only a few small Balinese temples. Bird songs and clean fresh air can be enjoyed all the way up, making you feel close to Mother Earth and her calming energy. The view from the top is simply breathtaking with cloud formations hovering over the lake and the volcanic cone of Batur on one side, and Mount Agung, “the naval of the world,” along with a picturesque coastline on the other. We highly suggest the sunrise trek, as the views are absolutely incredible, but we also offer day trips up Abang for those who don’t want to get up before dawn.